The tabloid covers may be dominated by Rob and Kristen, but in the hearts and minds of "Twilight" fans, there is no cover girl as dazzling as so-sweet-she'll-give-you-a-cavity series star Ashley Greene. With "New Moon" less than a month away (hooray! ), and Alice Cullen's screen time substantially increased, we caught up with the actress and occasional MTV News correspondent to get her latest thoughts on stealing expensive cars, playing board games with Kellan Lutz, and the "New Moon" cast's shared love of ... kittens? 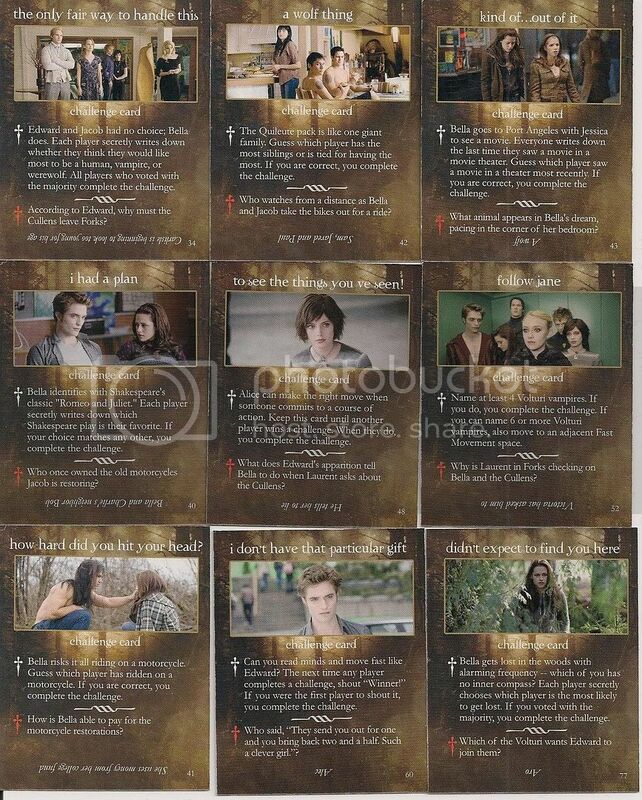 MTV: What was your favorite "New Moon" scene to shoot? Ashley Greene: Of course, the Porsche was incredible, the whole experience of filming [that scene]. Working with Michael Sheen, it was just really funny how he created this whole atmosphere out of the scene and could switch it up. Everything that he did was a little bit inspired, and so the whole Volturi scene with him was really fun to do. [I also love] the whole Cullen scene, when Bella gets a paper cut and Jasper goes crazy — you haven't seen that side of him yet. The performances are great, and the whole dynamic is really great. That was one of my favorite scenes to watch. MTV: You guys have become such good friends and have so much downtime between takes. What sort of things do you talk about when the cameras aren't rolling? MTV: So Alice and Bella would be giggling between all that drama? Greene: Yeah, there was a lot of that, just a lot of giggling and laughing. During "New Moon," especially in Italy, me and Kristen were, like, the only girls. So there was a lot of girly giggling going on. MTV: Do you feel more like Alice now than when you did "Twilight"? Greene: I feel like I was like the character a little bit anyways. I was really excited to play Alice in the beginning because she is a really positive, bright light — and a very moral vampire. I was saying in the beginning that I felt that I was [as well], and that was relatable. At least, I try to act [positively]; I don't know if we can all the time. [Also] she's really close with her family obviously, and that was there from the get-go, so I felt like the only other thing I could do to get closer would be to become a vampire or see the future. [Laughs.] [But] fashion-wise, yes. Fashion-wise, I have become a lot more like Alice Cullen, because she is probably the most fashionable out of the Cullen clan, and I've recently become obsessed with fashion. MTV: There's so much "Twilight" merchandise out there. Do you own any? Greene: I have a couple shirts. I have a couple things from "Twilight" that I want to keep as memorabilia, and so I have a couple shirts. I definitely have the necklace. While filming, Kellan bought the "Twilight" game, and we played. We made Xavier [Samuel] play it, the poor new kid. We were like, "The new kid will play!" and so we had Xavier come over and Peter Facinelli came over. Me and him and those two guys and Kellan played the "Twilight" game. And I won. I'm just saying. No big deal. MTV: What is the secret to the success of the "Twilight" film franchise? Take a look at the extended scene of 'The Twilight Saga's New Moon' wherein Robert Pattinson's Edward and Kristen Stewart's Bella share a kiss, and at the making of the shape-shifting wolf pack. He may not admit that he is dating Kristen Stewart, but Twilight star Robert Pattinson has said that he has a "natural chemistry" with his co-star. The 23-year-old actor, who is rumoured to be dating his co-star Stewart, says filming passionate scenes with her is easy, Ok! magazine reported online. "There's a natural chemistry going on with Kristen," said Pattinson. The British actor was worried that the chemistry would disappear in the film's sequel, New Moon, but things went smoothly. "Even doing this sequel, it's so easy. I was really worried that I wouldn't know how to do it again, but it's so easy to play off her," he added. Pattinson is planning to return to his home country once the shooting for the third sequel Eclipse is done. Director David Slade is filming the final few scenes for the film, due out next year, and will be sending the actors home this weekend. Check out Access Hollywood for an exclusive clip preview from New Moon. The new clip from New Moon will be shown Thursday night on Access Hollywood and live on their site on Friday. The clip is of of Edward Cullen fighting to save Bella from the Volturi vampires. Visit Access Hollywood now for a 10 second preview of the clip! 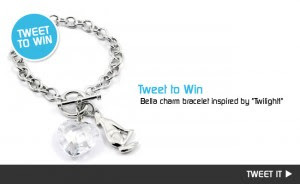 'Twilight' Charm Bracelet: Tweet to Win! 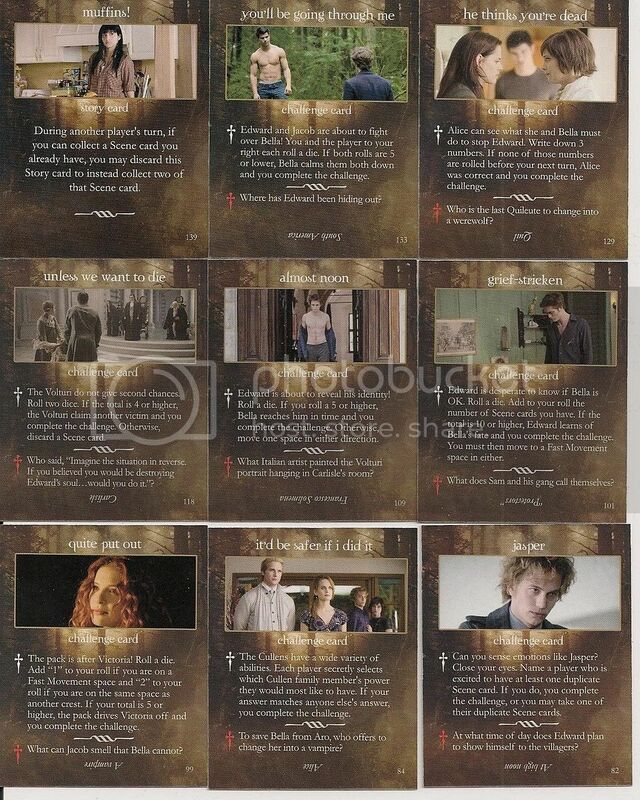 Extra TV is gonna be having a contest every week till the New Moon movie hits theaters. Twilight goodies will be given away and this week you could win a Bella Charm Bracelet. It’s a Twitter inspired contest. So start chirping away -- and get one step closer to "Twilight"! go to Extra TV to get all the details and find out how to enter to win the bracelet. November 18, 2009 in France. 'You're so in her shoes that it's a vicarious experience,' Kristen Stewart tells Allure of her 'Twilight' character. These days, Kristen Stewart is very closely associated with her role of Bella Swan in the "Twilight" series. And at times she seems conflicted about the fame that comes with the role, but one thing she definitely doesn't seem conflicted about is her love for the character. "You're so very much with Bella. You're so in her shoes that it's a vicarious experience. It's addictive," she said in an interview for the November issue of Allure magazine, on newsstands October 20. In the issue, the 19-year-old actress also talks about how hard it is for her to open up in interviews. She thinks that people are constantly judging what she says and how she says it. "I spend so much of my time guarding against sounding insincere about something that I would die for," she said. "Maybe I'm overcompensating ... I care so much. And it gets reported as the opposite. And even seeing this [interview], they'll be like, 'Oh, she's trying to let us know ... ' "
Stewart, who is currently filming "Eclipse" in Canada, added that she refuses to bow down to Hollywood norms of what a starlet should look and act like. "I go outside and I'm wearing a funky T-shirt and my hair is dirty and people say, 'What's wrong with her? She needs to invest in a hairbrush,' " she said. She added that she was never "that girl," so she's not sure why everyone wants her to be. "I'm like, 'Don't you get it? I'm not that girl!' Like, I never was that girl. It's not like I was really clean-cut last year," she said. "I don't exercise. I'm skinny fat. I worry about being too skinny." Click on the links below to see more cards. Summit Entertainment has announced that the World Premiere of New Moon will take place on Monday November 16 in Los Angeles. As there will not be a UK premiere, E1 Entertainment is in the process of organising a New Moon fan event with the cast on November 11. We will update you on further details as soon as they are confirmed. 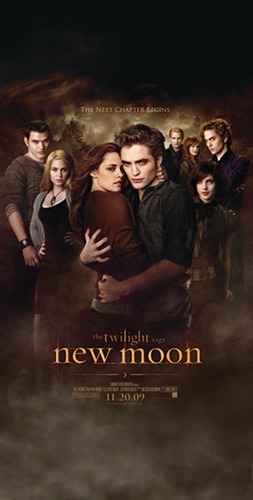 New Moon will be in cinemas across the country from November 20. Due to overwhelming and unprecedented demand, Chop Shop/Atlantic Records have announced a new release date for THE TWILIGHT SAGA: NEW MOON ORIGINAL MOTION PICTURE SOUNDTRACK . By far the most anticipated soundtrack of the year, the compilation will now be released this Friday, October 16th, four days earlier than originally scheduled! If you have pre-ordered the album, you can expect it to arrive on that date or shortly afterwards. In addition, we would like to exclusively announce that in the physical CDs, the booklet folds out into a poster! The image is below. Make sure to head out on Friday to get your copy of THE TWILIGHT SAGA: NEW MOON Soundtrack! 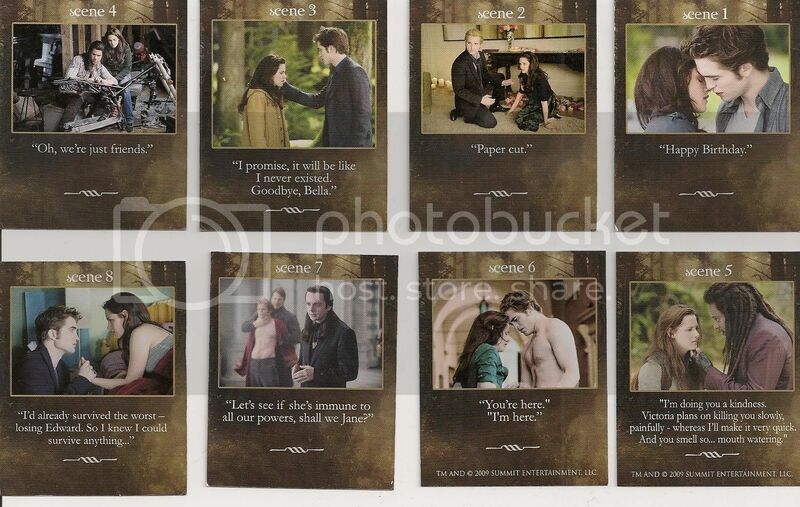 Here are some brand new stills of Edward and Bella from “New Moon”, and a few from the People Collector’s Edition, now released as stills.